We have been getting out to the surfbreak pretty regularly, since our last post. 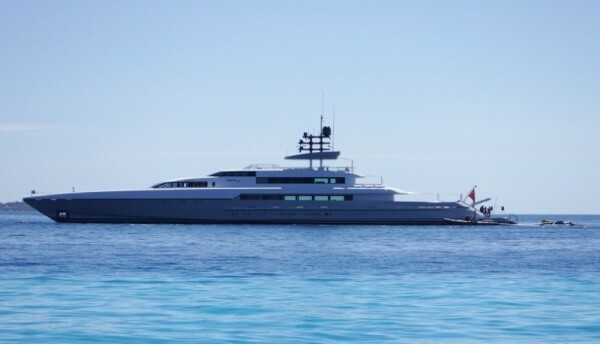 During the last week, the two mega-yachts name DragonFly and Census have been anchored near our favorite surf break. The two owners are Sergey Brin and Larry Page (the founders and majority owners of Google). Not really a big deal by itself since we see several mega yachts in the area on any given day. What made this unique was that while we were surfing, DragonFly's "dingy" came over to the wave we were on and offload several people and a couple jet skis. During the next hour, they had drones recording their rides on the surf while chasing every ride with jet skis to further commemorate the occasion. They also had personal water sports coaches to teach them how to surf and help them. It was a fun display of oppulence to watch. A little while later, Tom caught a particularly nice wave that he rode for a bit and then Sergey dropped into the same wave right in front of Tom. This is a bad etiquette move, because it forces the person already on the wave to not only see the new person on the wave, but adjust speed and direction to avoid a collision. Tom never worries too much about it becuase he will usually just turn off the wave, but this time he didn't see him and WHAMO! He said as he looked up and there was Sergy with a deer in the headlights look and Tom couldn't react quick enough and ran right into his shins with his epoxy board. So both guy's go tumbling through the water and get a little tumble in the wave but both pop up just fine. The rich guy waved off his crew that were rushing to his rescue and the guys had a geat laugh about it. The next day, Sergey recognized Tom and they got to talking between rides for a while. After learning about our lives and our current way of living, Sergey told Tom how envious of our lifestyle he was. Tom suggested they switch lifestyle's for a week or two, but apparently he wasn't quite that envious. So now, Tom gets to add running over a billionare to his growing list of surfing incidents. Otherwise, we have been up to the same old stuff, lots of swimming, snorkeling, tennis, etc etc. Tom has started his Kite boarding lessons, but the wind has been a little light for it. The Fiji Regatta starts in a few days and we are getting prepared for that.